As far as I am aware there are just the 4 main variants, as 8D8 only came with a No Coo. Circle on both, no circles, circle on left hip, circle on right hip. Of course there is a Lili Ledy version with hard torso and that may come with the same amount of additional variants? Also, that's a great focus from Joe! That's precisely my point. If I want a loose 8D8 that has one circle hip and one no circle hip, then the only way to be sure that your figure has all its original parts would be to take one off a card yourself... but obviously I won't do that. 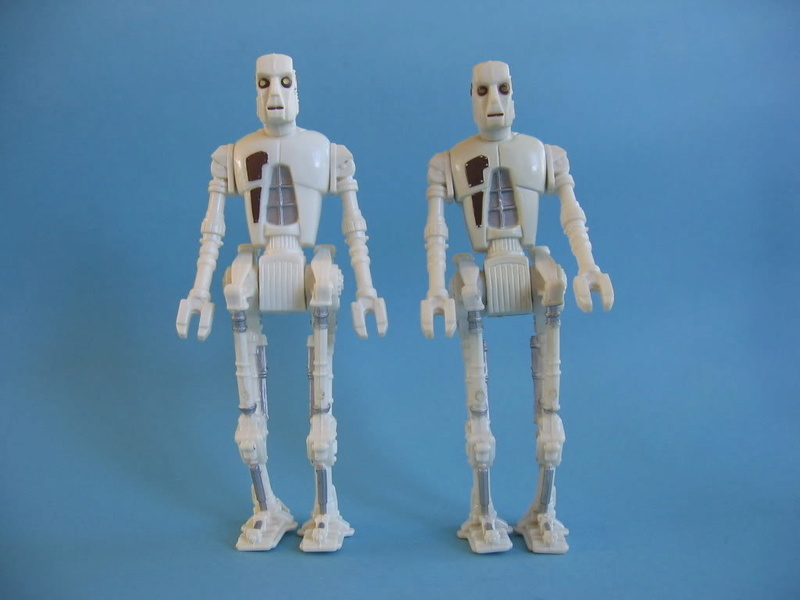 If you haven't taken the figure off the card yourself, because the legs can be removed and replaced very easily, you cannot know if your 8D8 figure has all the parts it originally came with. Picked up a lot of catalogs and card backs. Didn’t pick it up when I bought the lot but the 8D8 had been sold at a department store that my grandmother worked at around the time. John Martin’s had a few Department stores around the Adelaide (South Australia) area and are famous for starting the Christmas pageant - kind of a big deal if your a kid at Christmas time in Adelaide. Unfortunately the stores were sold off but the memories still remain. The 8D8 card has the John Martin’s price sticker and the collecting wishes of a child around the Jedi era. Poor tacker couldn’t find a original Luke!! Some great items and makes for an interesting read. I never really paid too much attention to the 8D8 before but it's actually quite a cool figure. Thanks for sharing all. Jedijut wrote: Picked up a lot of catalogs and card backs. Didn’t pick it up when I bought the lot but the 8D8 had been sold at a department store that my grandmother worked at around the time. Snaketibe wrote: That's precisely my point. If I want a loose 8D8 that has one circle hip and one no circle hip, then the only way to be sure that your figure has all its original parts would be to take one off a card yourself... but obviously I won't do that. If you haven't taken the figure off the card yourself, because the legs can be removed and replaced very easily, you cannot know if your 8D8 figure has all the parts it originally came with. I agree with you, maybe it is more easy for me because I have found all mine in lots, the only 8D8 I have that is not from a lot is my lili ledy and I have the same problem with space but I can't stop collecting them So will you go for the lili ledy ? Will I buy a Lili Ledy 8D8? To be honest, probably not. If the pictures on-line are accurate, the LL & Kenner versions are extremely similar in appearance, and my personal variant collecting goal is to get figures which are visually different from one another (and which I like! Some variants simply don't interest me); and the bigger the difference, the better! However, there's always been a fine line between deciding what constitutes enough of a difference to make a variant that falls into this category and what doesn't, and I won't claim to be entirely consistent about it either! I have some 'variants' that are really hard to tell apart, and for ages I also really wasn't that interested in certain variants that I do now either own or want! So I refuse to rule it out, but for now I have no plans to buy a Ledy 8D8! I totally understand, we all collect different The Lili Ledy torso is in white hard plastic, just like the pbp stormtrooper, the eyes is darker, the brown part on the chest is darker, there is also much better details on the back on the 8D8 lili ledy. I do not know if you knew that ? Snaketibe wrote: Will I buy a Lili Ledy 8D8? To be honest, probably not. 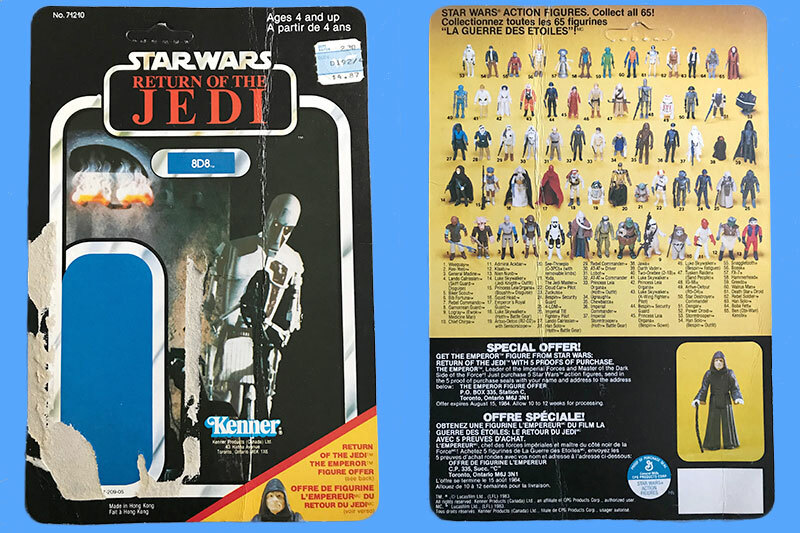 If the pictures on-line are accurate, the LL & Kenner versions are extremely similar in appearance, and my personal variant collecting goal is to get figures which are visually different from one another (and which I like! Some variants simply don't interest me); and the bigger the difference, the better! However, there's always been a fine line between deciding what constitutes enough of a difference to make a variant that falls into this category and what doesn't, and I won't claim to be entirely consistent about it either! I have some 'variants' that are really hard to tell apart, and for ages I also really wasn't that interested in certain variants that I do now either own or want! So I refuse to rule it out, but for now I have no plans to buy a Ledy 8D8! Thanks. Looks like I might have to start looking for one then! Last edited by Snaketibe on Fri Mar 30, 2018 7:59 pm, edited 1 time in total.